Description: Given for reaching Gold Status with Club Nintendo during 2011. 03-14-2012 scott Description Given for reaching Gold Status with Club Nintendo during 2011. 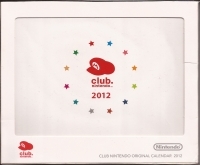 This is a list of VGCollect users who have 2011 Club Nintendo Gold Member Reward - 2012 Calendar in their Collection. 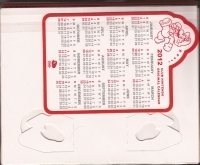 This is a list of VGCollect users who have 2011 Club Nintendo Gold Member Reward - 2012 Calendar in their Sell List. This is a list of VGCollect users who have 2011 Club Nintendo Gold Member Reward - 2012 Calendar in their Wish List.